Maintenance Coordinator and PM Coordinator are two low-cost CMMS Software applications that are easy to install and implement. You can download the CMMS demos and purchase either of these online through this website. Effective and Cheap CMMS Software! You can have your CMMS system up and running in a jiffy! Both of these systems have been designed with the following guidelines in mind. Easy to use CMMS than can be implemented quickly and with minimal support requirements. Low cost - we keep prices reasonable and affordable putting it within reach of even the smallest companies. Constantly monitoring usage of the software and maintaining a regular update schedule. Understanding that the requirement of our maintenance management software users are paramount. PM Coordinator is a powerful but compact Maintenance Scheduling System. This is our base system, which is used to track and plan repairs & recurring work orders (PM = Preventive Maintenance routine). Using your asset register you can keep accurate and complete maintenance records for all of your equipment. This PM software is the ideal choice for any organization that requires a very basic computerised maintenance system but doesn't require inventory control, purchasing and the other modules supplied with the full Maintenance Coordinator systems. Many maintenance departments already have stock and inventory systems in place. These are generally controlled by the accounts department - perhaps as part of an Enterprise Asset Management System. If you need these specialised features then have a look at look at the Maintenance Coordinator options. Maintenance Coordinator is PM Coordinator's big brother. For its price this is one of the most complete and easy to use CMMS software solutions on the market today. Available in standard and professional versions it can also be customised or bespoked to meet client's specific needs (additional fees apply). The Standard Edition comes with seven of your most sought after CMMS modules. These include the Maintenance Scheduler module, Work Orders (Request) module, Part and Inventory module, Equipment and Machinery module, Purchasing and Receiving modules, Contacts and Vendors module, and for you manager types out there, a Personal Planner module. Each of these modules provide specific functions and features that when combined becomes an outstanding Maintenance Management Software system. The Professional Edition includes additional modules that together cover just about all your maintenance control needs. Simplicity Software Technologies Inc. is a mature and stable US software company that has been developing specialised CMMS software for several years. 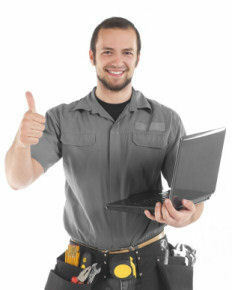 The maintenance applications offered through this website were originally developed in 2000. Development work and upgrading has continued right up to the present day. All versions are current and available in both MS Access and SQL Server versions. (Contact us if you need more information on the SQL server edition) . The software has continued to evolve throughout this period with regular new releases and updates. We are the UK and Ireland distributors for these applications but we can also handle enquiries from Australia, New Zealand and the rest of the World. Both of the above maintenance packages can be supplied with options and in both stand-alone and networked versions with low cost site licences. Support packages are also offered to match your requirements. You can also download a CMMS software demo with no obligation to purchase. View the options available here.